The arrival of Art Basel in Hong Kong has sent the city into an art frenzy (that’s perhaps an understatement) and it’s impossible to ignore. Whether on gallery walls or on the streets, or even on the MTR, you’ll find that this March our bustling harbour looks a lot more colourful; more thoughtful; more energetic. Christian Louboutin’s world is of no exception. The new launch of LoubiGraffiti celebrates colour and panache in a big way, by giving a refreshed look to Christian Louboutin’s now-classic graffiti stylings, seen everywhere from past limited edition coffrets to the fashion brand’s signature red-bottomed pumps. The former Louboutin Graffiti pattern that Loubifans all know and love, with its edgy, Basquiat-esque scrawls and doodles, has now become another milestone moment in the brand’s history. 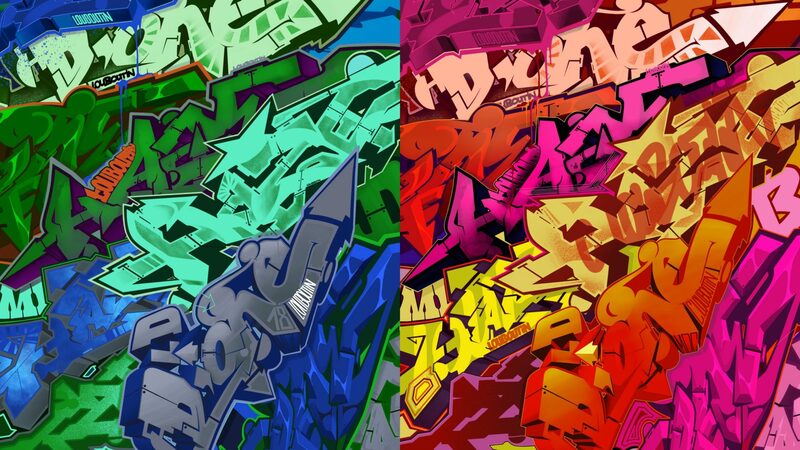 Riding the wave of streetwear and increasing acceptance and prevalence of vibrant urban scenes, the new collection is drenched in bold, funky colour and depicted through wildstyle lettering — an elaborate, almost abstracted style of wall calligraphy often consisting of arrows, curves, and stylistic flair. Not unlike what you’d see during this month’s HK Walls street art festival taking over Wan Chai. 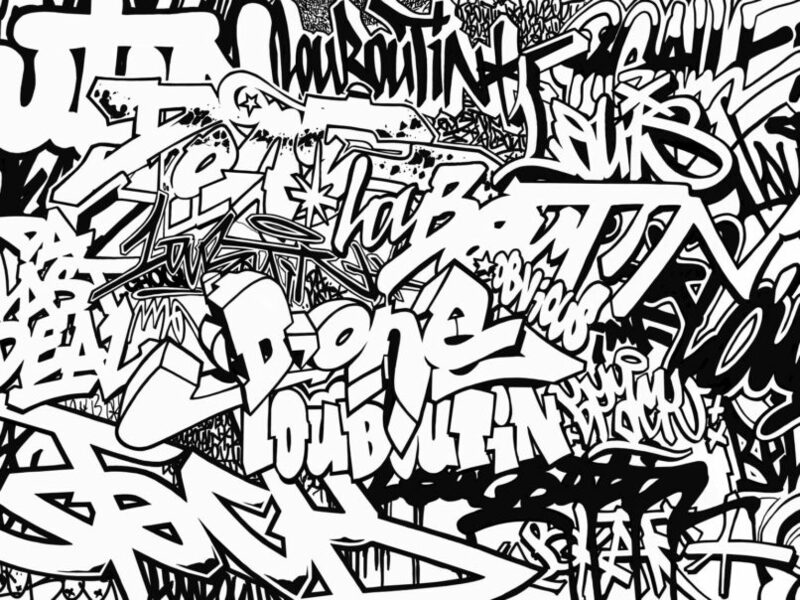 Like the spirit of city graffiti, LoubiGraffiti was created with creative freedom in mind. Wrapped in distinct colours and patterns, the 10 beloved lip and nail products range from magnetic hues of pink and tangerine, to turquoise and orange, lilac and magenta, and a monochrome version in black and white, all playfully clashing and contrasting with one another. Each purchase is presented in specially made craft paper bags, slapped and sealed with street art-inspired stickers. LoubiGraffiti lip colours in Altressa, So Tango, Bengali and Diva (L-R). 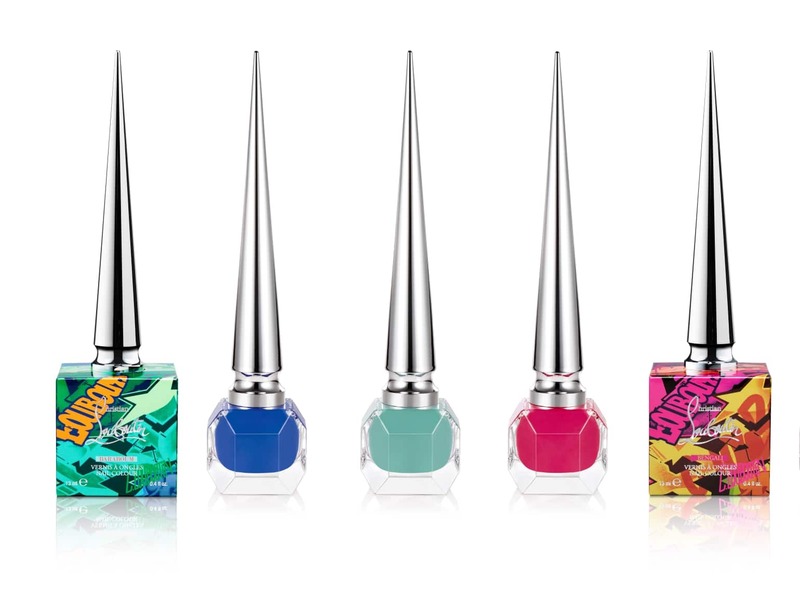 The products themselves are as colour-drenched as their packaging, conveying the message that one should express themselves boldly and creatively — a philosophy that Christian Louboutin himself has always stood by in his no holds barred approach to fashion. Four Velvet Matte lip colours and six striking nail colours match with the vibrant hues in vogue for the spring/summer season. The Velvet Matte lip is designed to be ultra-pigmented, with a luscious, opaque texture making for great colour payoff. There’s Altressa, a bold true red; So Tango, a plummy royal burgundy hue; Bengali, a lush magenta; and Diva, which offers a hint of spicy tangerine with an orange-tinged rouge. LoubiGraffiti nail colour in Baraboum, Batignolles and Bengali (L-R). LoubiGraffiti nail colour in Jazzy Doll, Edgypopi and Khol (L-R). 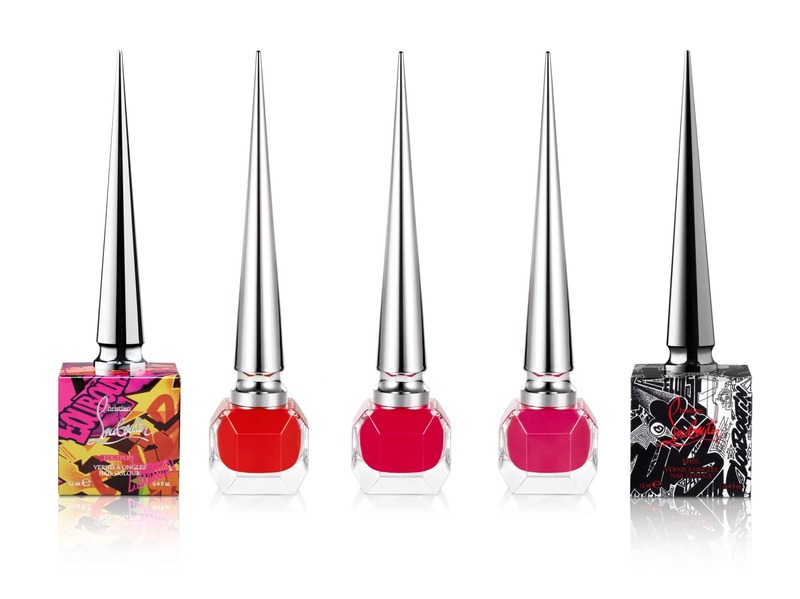 For the nails, Louboutin’s signature formula offers six highly pigmented shades in limited edition mini stiletto bottles. Colours include Baraboum, a shocking royal blue; Batignolles, a warm aqua; Bengali, translated into a hot pink hue from its lip sibling; Jazzy Doll, a luscious subtly shimmery dark pink; Edgypopi, a punchy orange red; and finally, Khol, the perfect glossy black to go with your big cat-eyed makeup. In essence, LoubiGraffiti offers a brand new palette for fashionistas to daringly play with colour — deliberately clashing a dramatic Bengali pout with a pop of Baraboum blue on the nails, for instance. Matching wonderfully with the vivid new Pantone hues on the runway including Living Coral, Fiesta Orange, Princess Blue, Aspen Gold, Mango and Moss, the new LoubiGraffiti lip and nail collection is sure to be a dazzling addition to your spring and summer wardrobe — not to mention a stunning display for your vanity mirror. Want to be one of the first in Hong Kong to try the street style colours for yourself? From 1–10 April 2019, call the Louboutin Beauty counter at Lane Crawford ifc (+852 2110 8165) to RSVP for a 15-minute makeover. 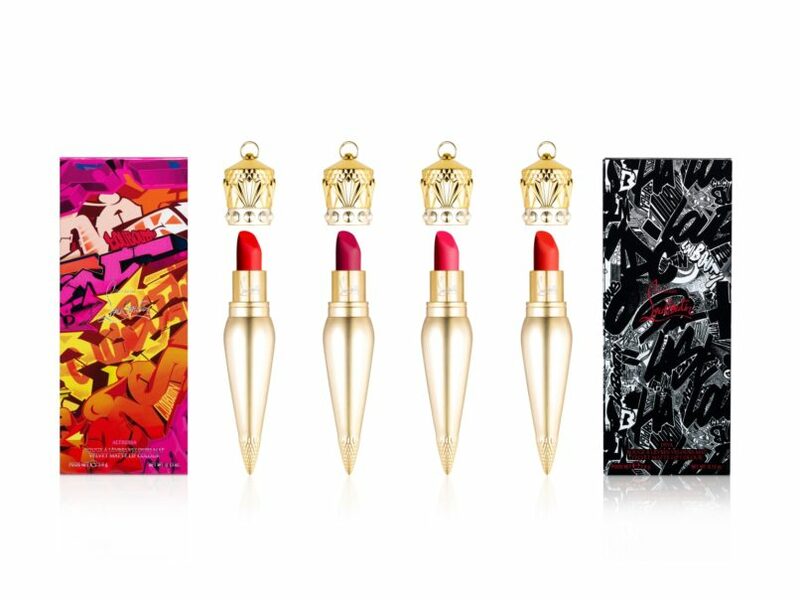 Shop the new LoubiGraffiti range when it launches 1 April 2019 and other Louboutin Beauty gems exclusively at Lane Crawford.